If you're looking for a tasty way to celebrate Valentine's Day, take a look at these sweet treats. 14 different desserts from cookies to candies to cakes and more. With full-color photos for each recipe your mouth will be watering before your oven even heats up. How about starting with some chocolate covered strawberries? What about Boston Cream Cupcakes? Chocolate cookies with black pepper? They're all here. Show your loved ones how you feel about them with these easy desserts! Log In to track Deb Pfeifer on eReaderIQ. 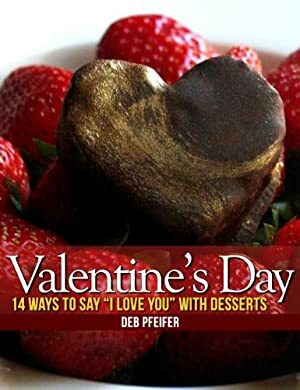 to be notified each time the price drops on any book by Deb Pfeifer. to stop tracking Deb Pfeifer. We started tracking this book on March 3, 2013. The price of this book has changed 53 times in the past 2,243 days. The lowest price to date was FREE last reached on January 11, 2019. The highest price to date was $3.99 last reached on March 3, 2013.